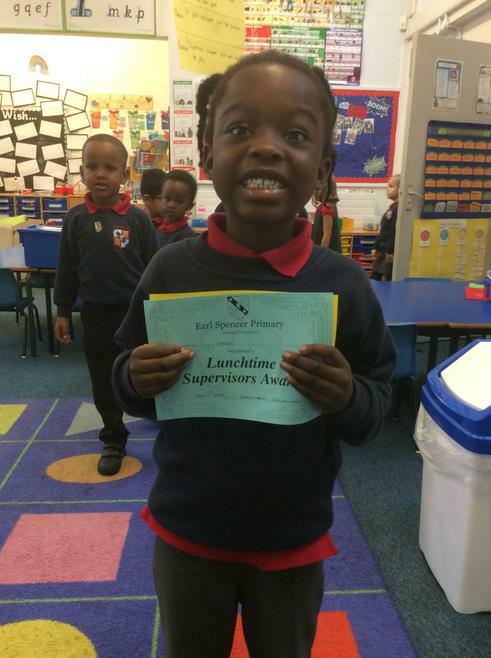 Our first topic of the year will be all about Superheroes. 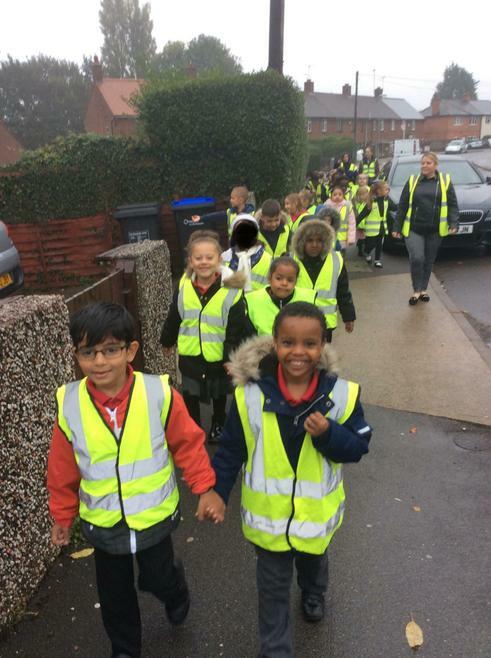 As well as non fictional characters, later on in the term we will also be looking at fictional people so these are your real life heroes. 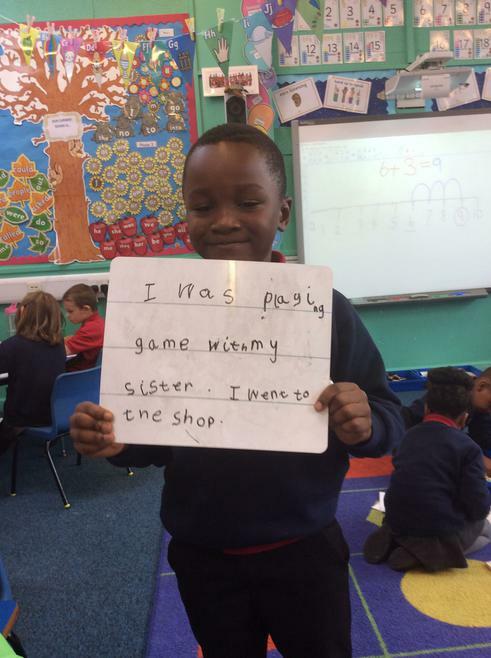 The children came into the classroom to find this on the carpet. 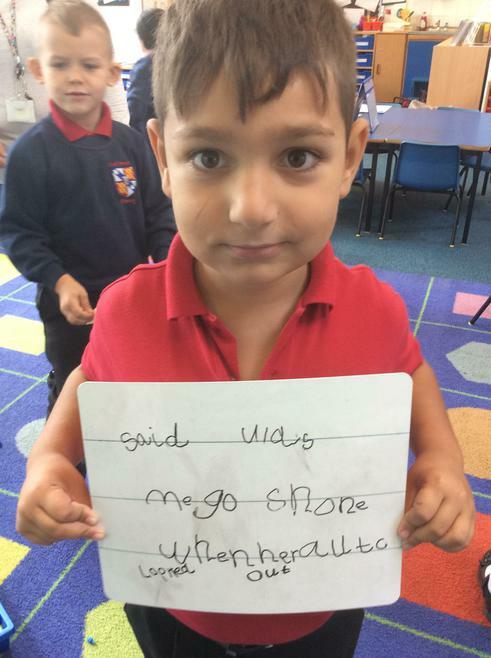 There was some discussion but they soon guessed it was Supertato. 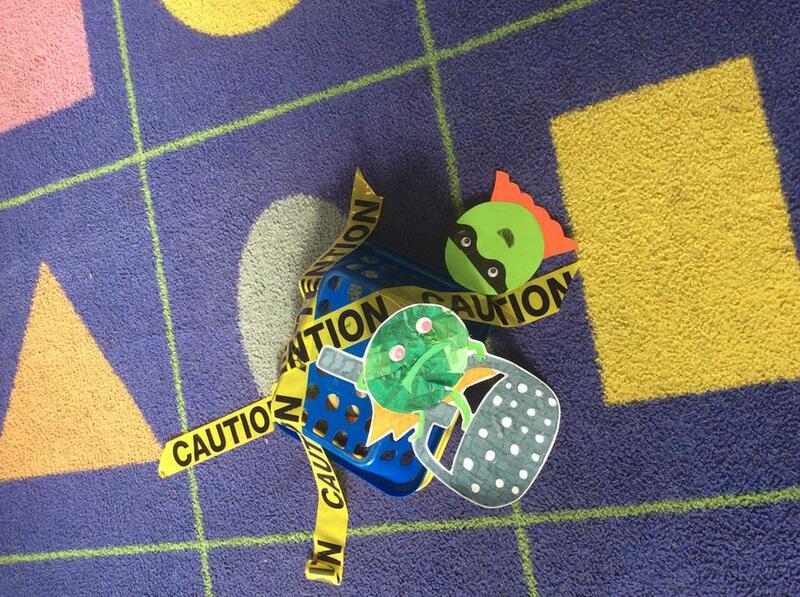 We talked about how he was under there and how we could get him out. 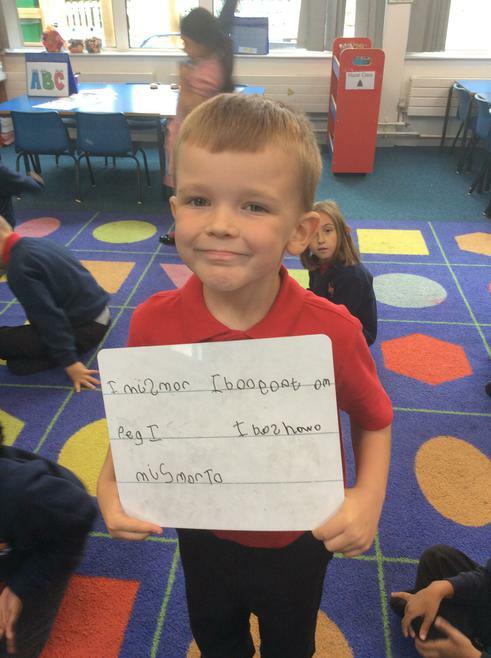 We moved on to think about feelings and discussed how we thought supertato was feeling. 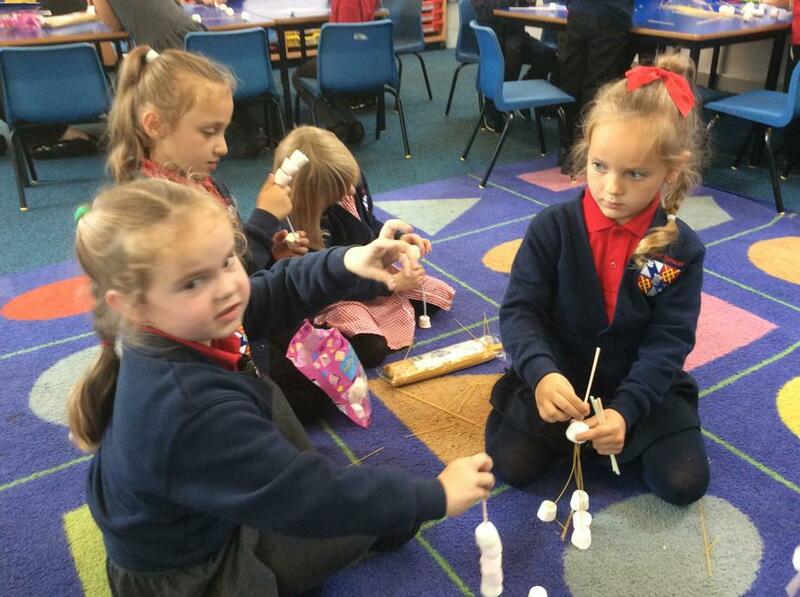 The children learnt a drama convention called 'Freeze frames.' 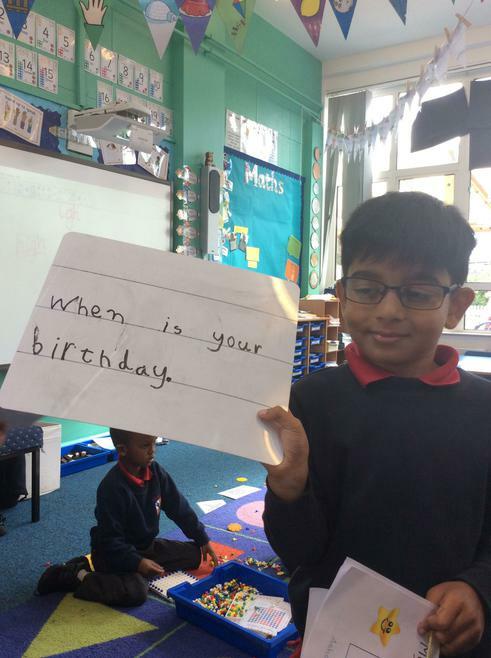 Which is where the children have to freeze into an image so that someone can look and tell how someone is feeling by the freeze frame. 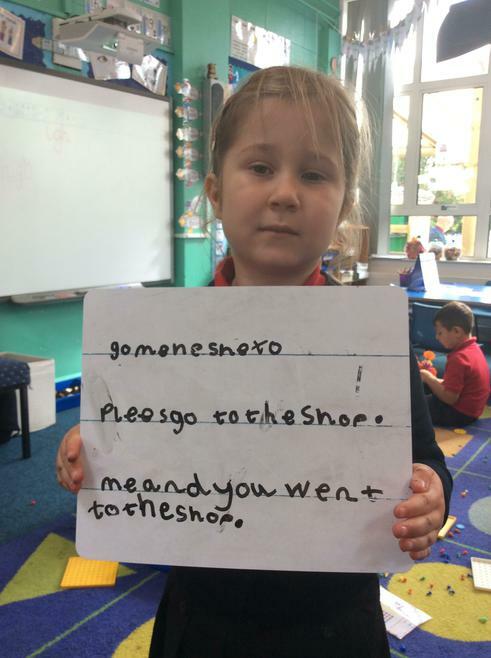 The children though supertato would be feeling angry, upset, sad and worried. 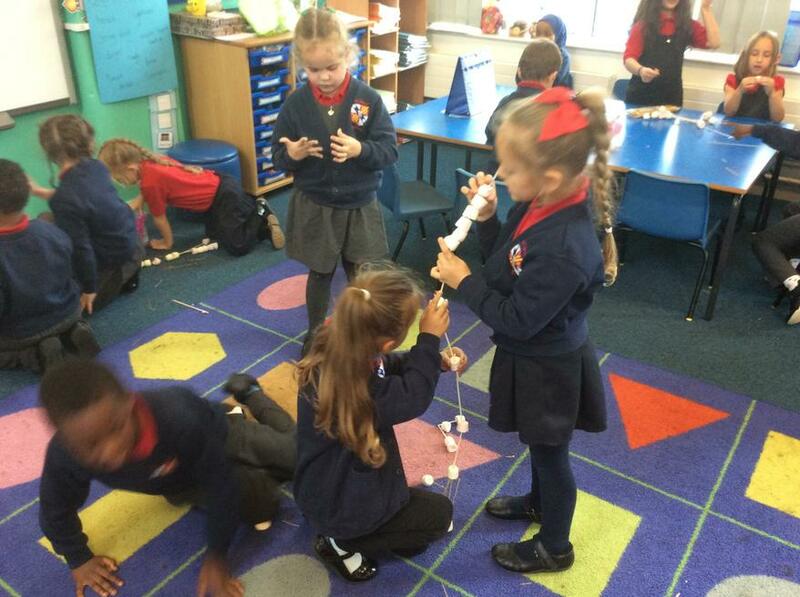 Here is some pictures of the freeze frames. 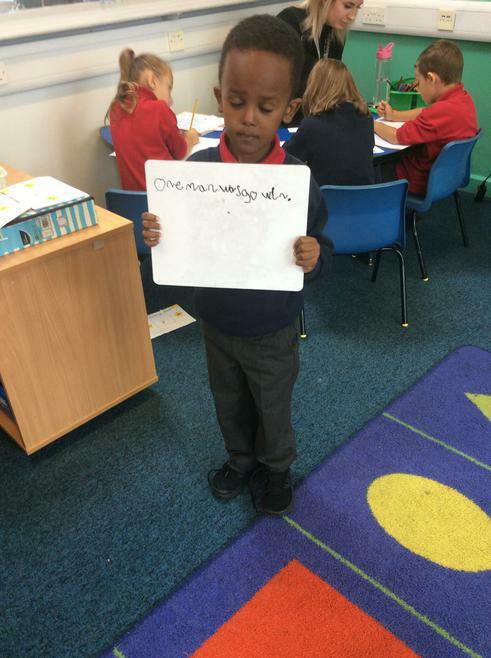 See if you can guess who is showing what feeling. 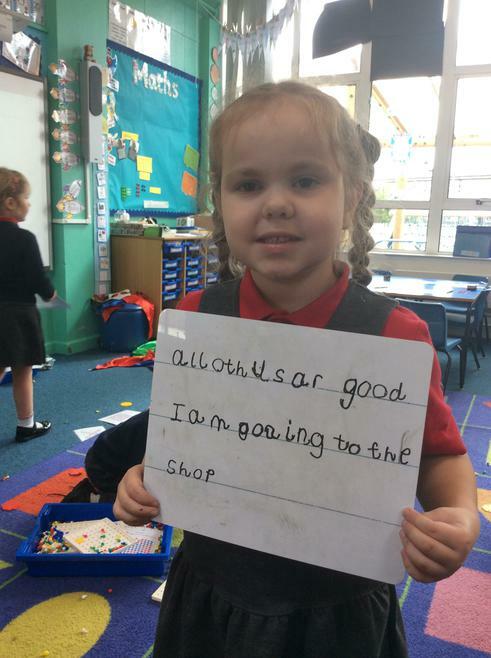 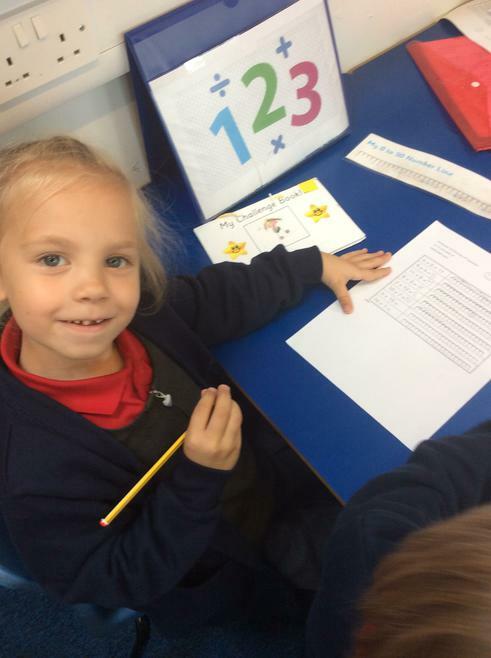 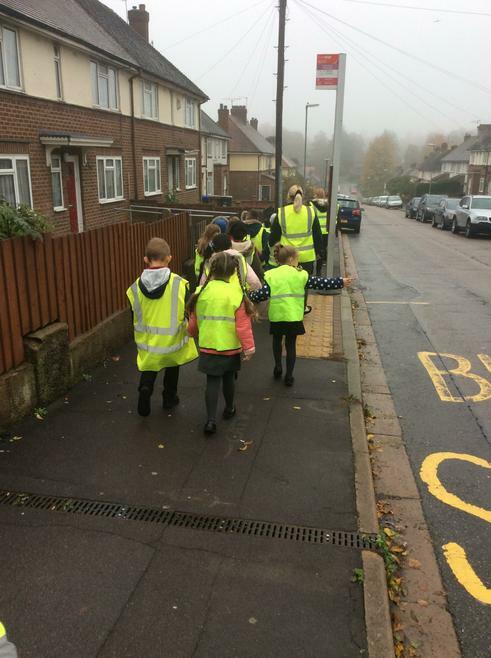 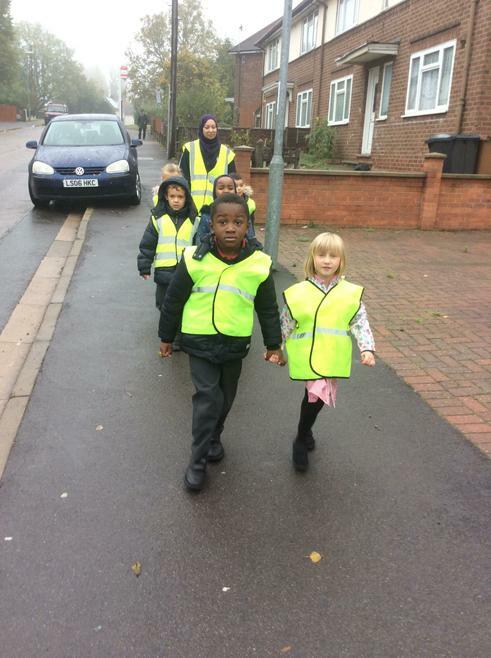 The children have been very busy this week completing their independent jobs. 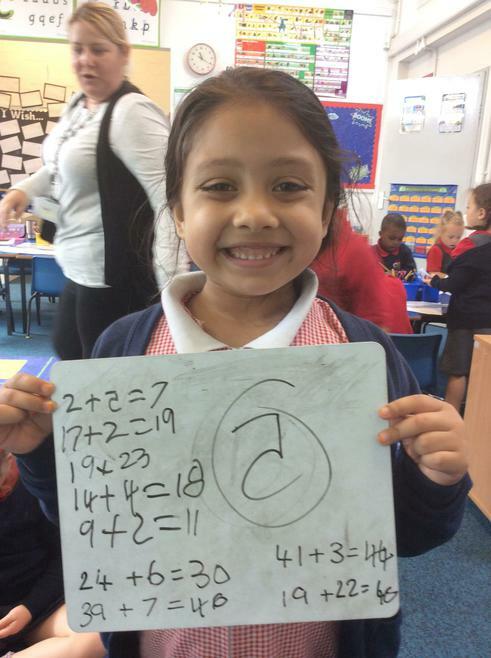 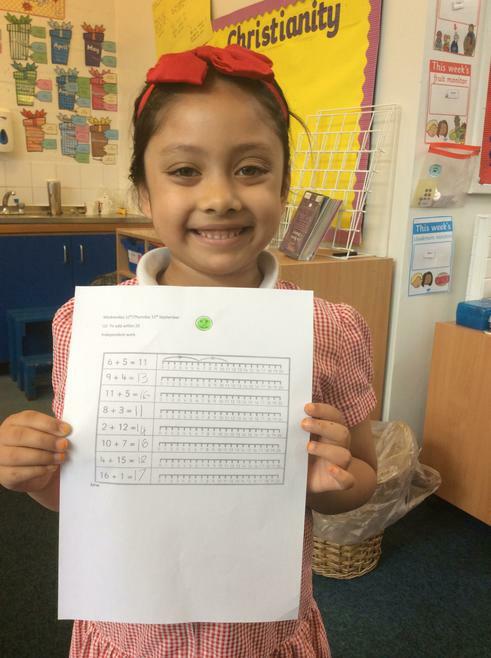 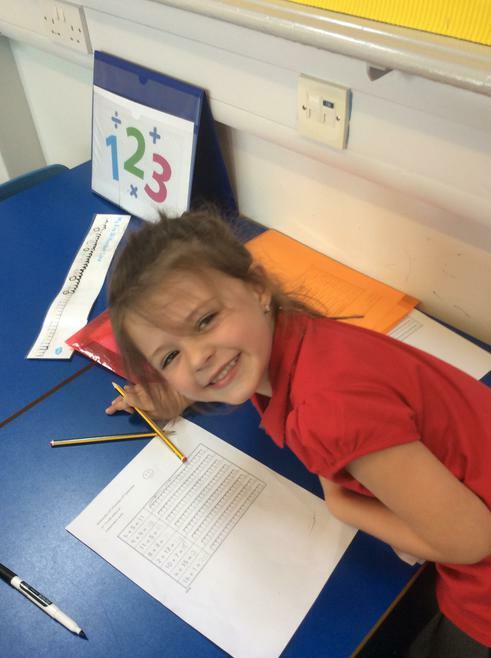 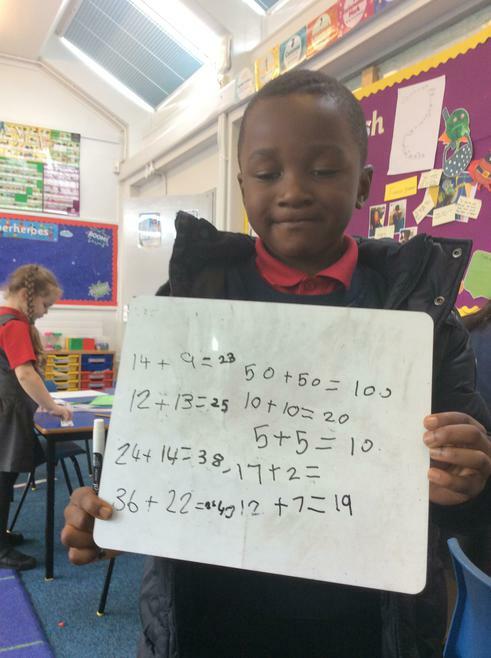 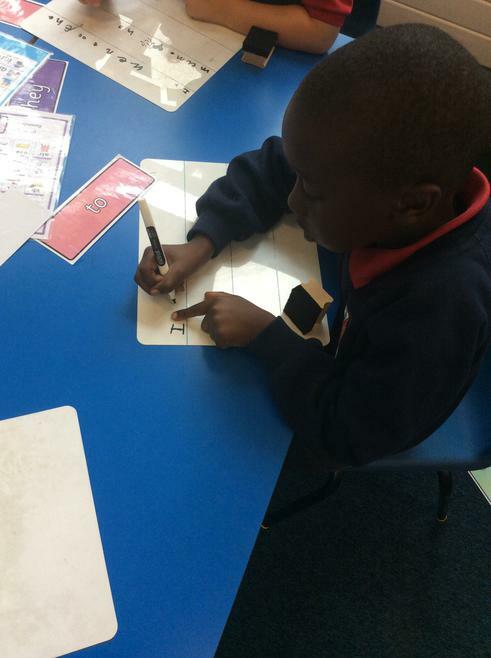 In maths they have been solving addition number sentences and to help them they have been using number lines, counters and drawing dots. 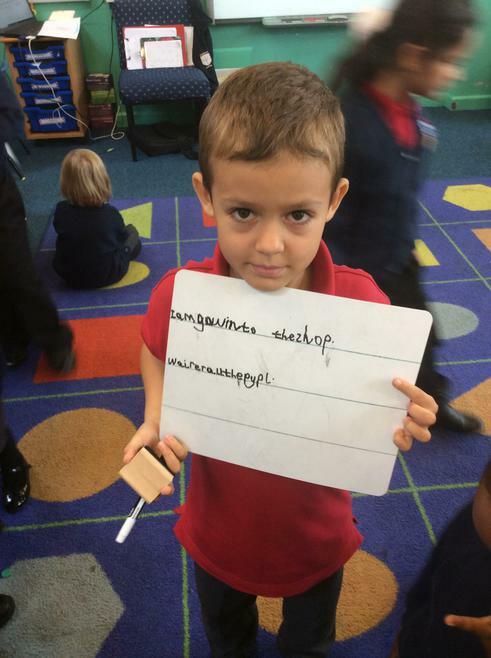 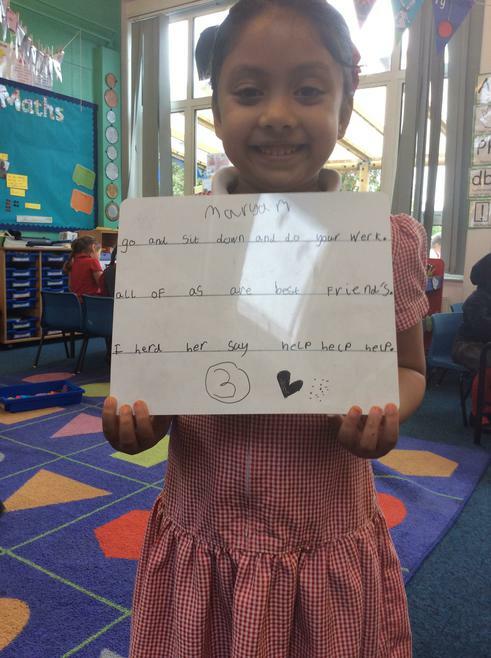 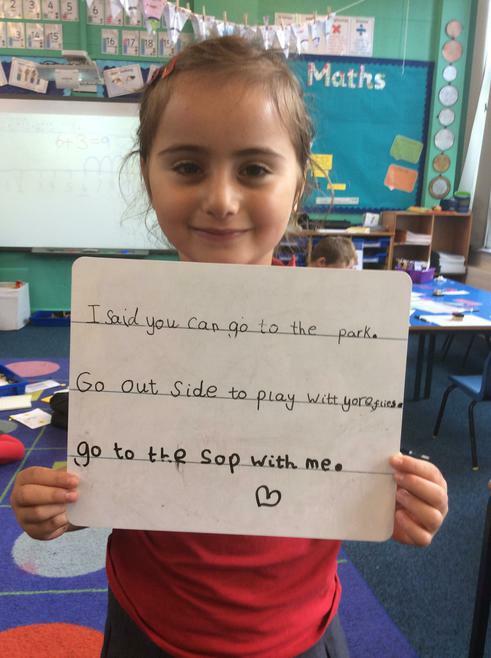 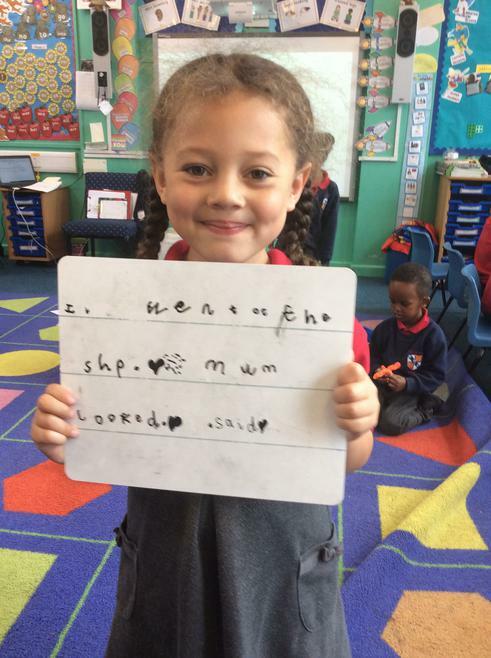 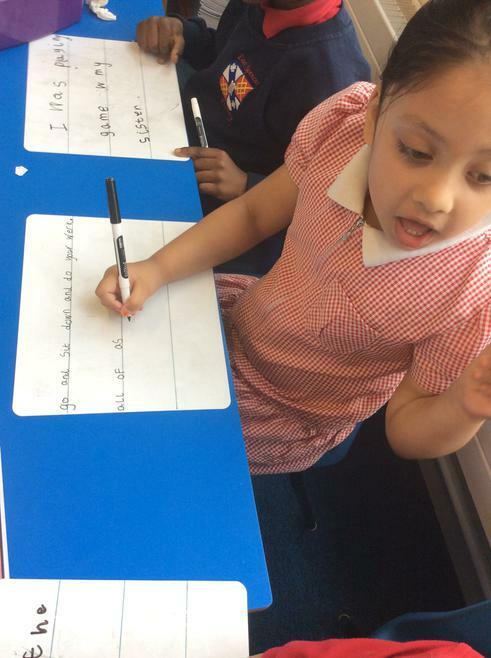 On the English table the children have been writing sentences with a range of tricky words in. 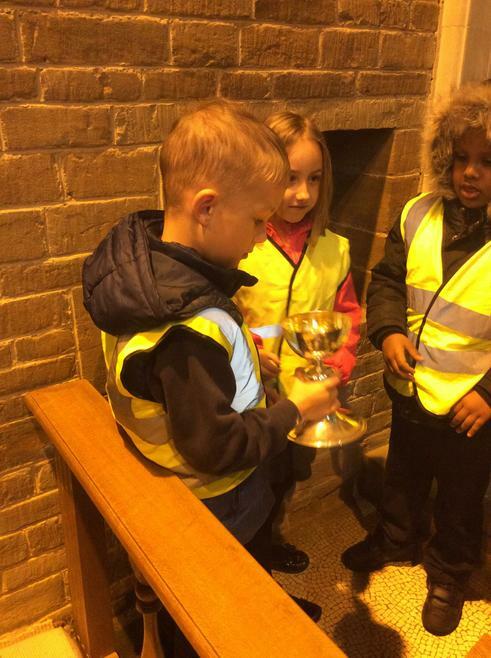 Tommy won the KS1 sports certificate. 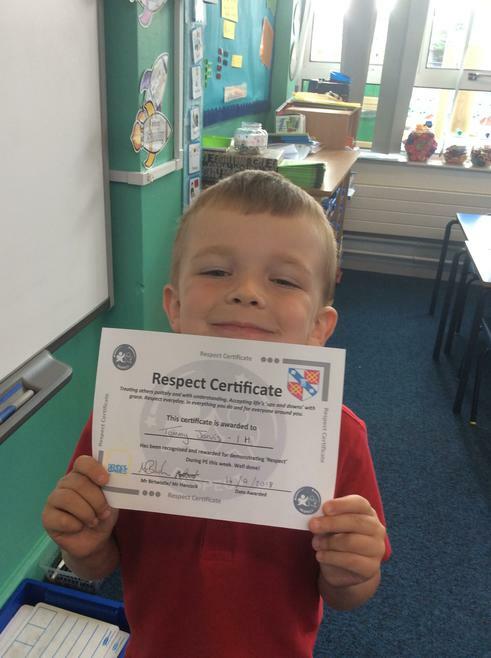 He got it for showing respect during his lessons. 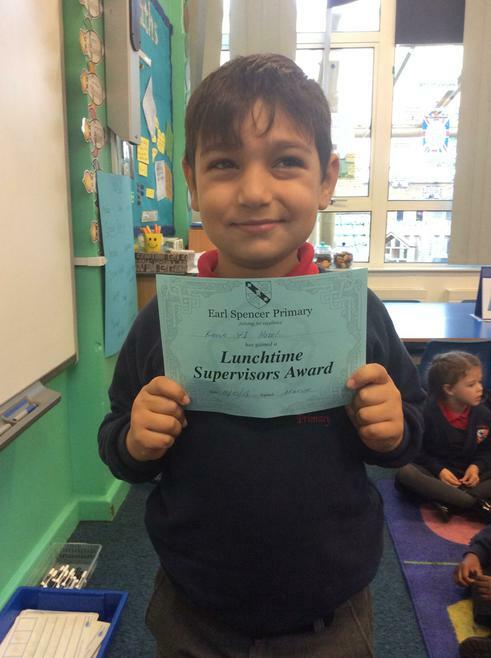 Ollie recieved a lunchtime supervisor award for being very kind on the playground and sharing the equipment. 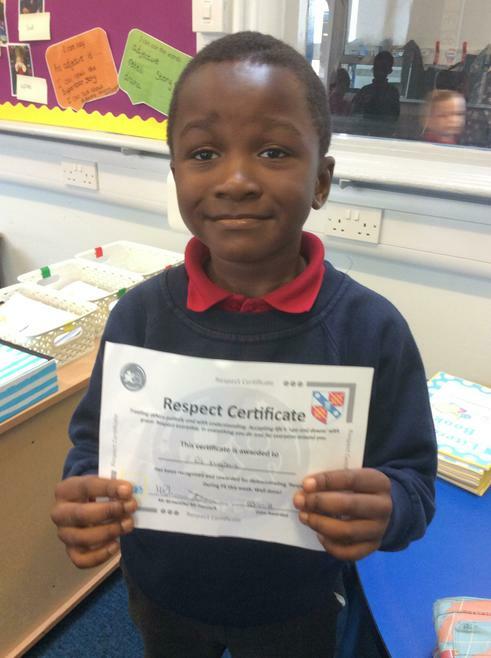 Efe got the sports award for showing respect during his PE lesson. 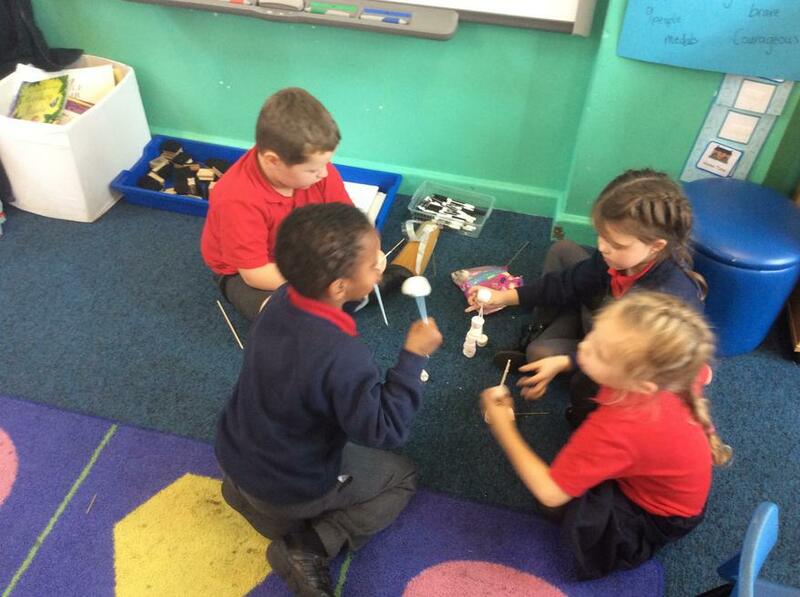 In science we have been exploring our senses. 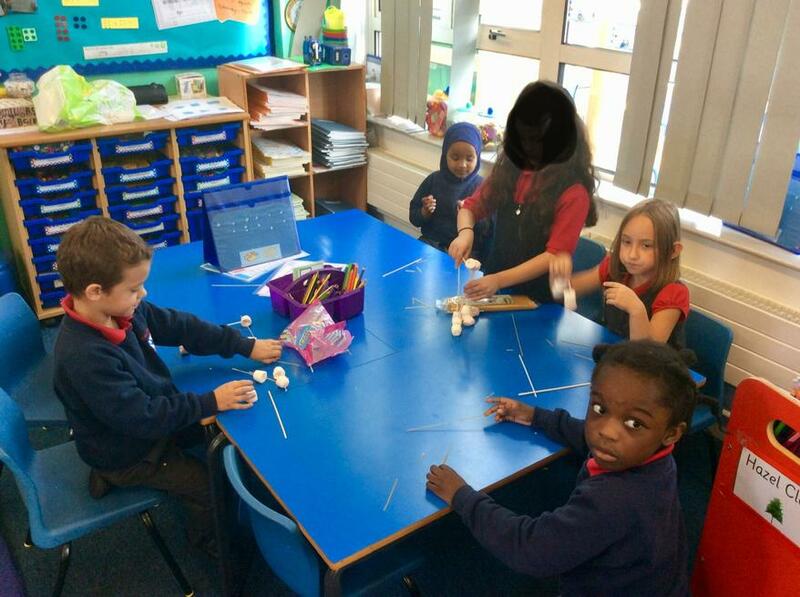 We discussed our sense touch and talked about how we would feel if we couldn’t see things and we could only touch them. 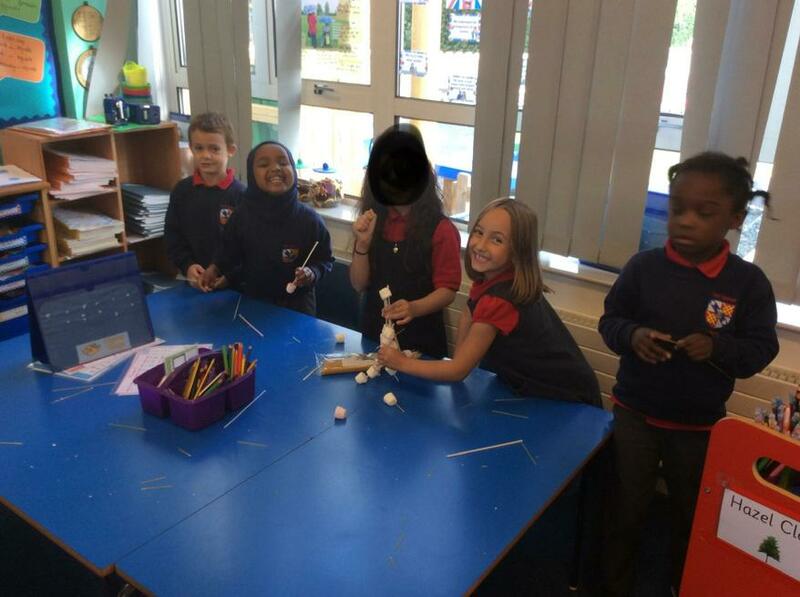 The children had a go at various activities that they had to do blind folded. 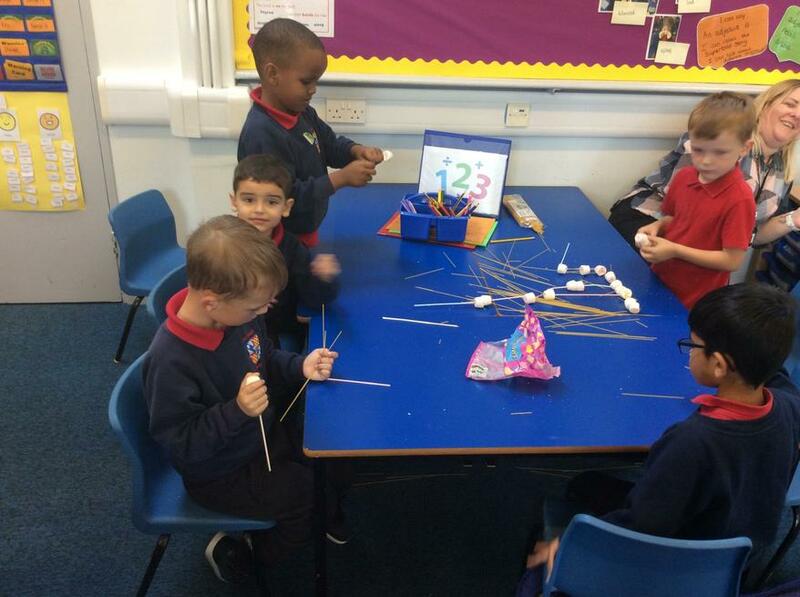 They need to count how many objects were on a tray just using their sense touch, order straws from longest to shortest, identify a mystery object and count the number on the dice. 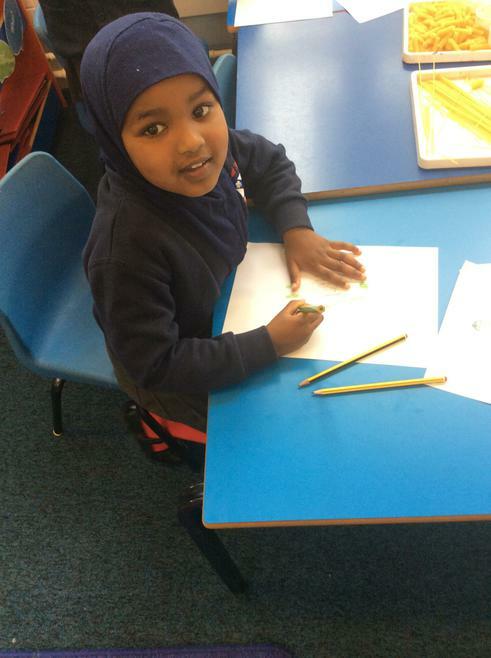 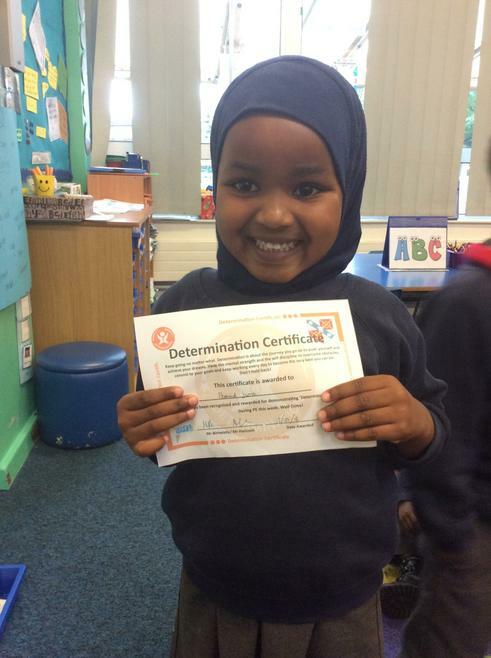 Ilwaad recieved the sports award this week and this was for her determination during PE lessons. 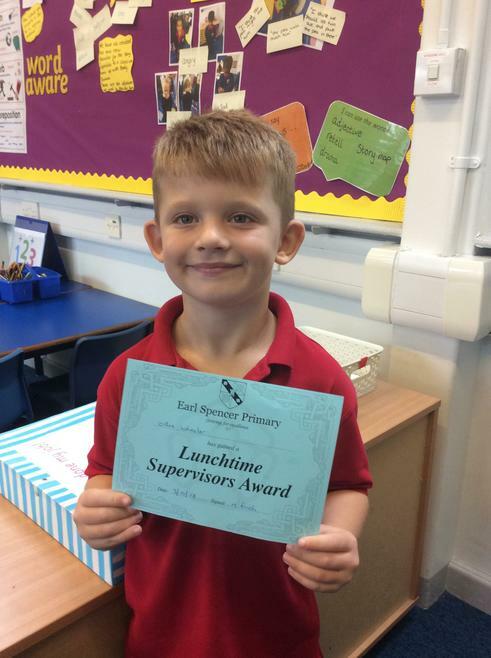 Kevin and Nana got a lunchtime supervisor award. 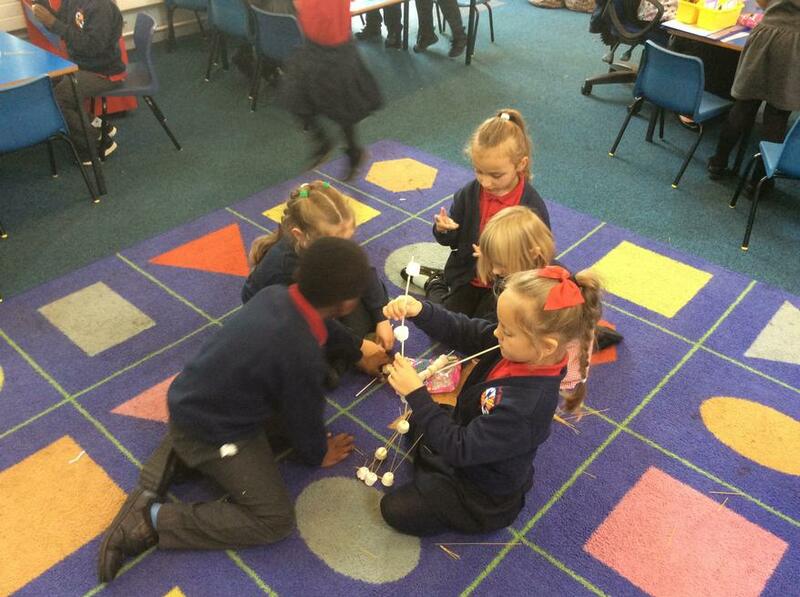 This week in PSHE we have been talking about the word ‘negotiating’ and how we can work in a team. 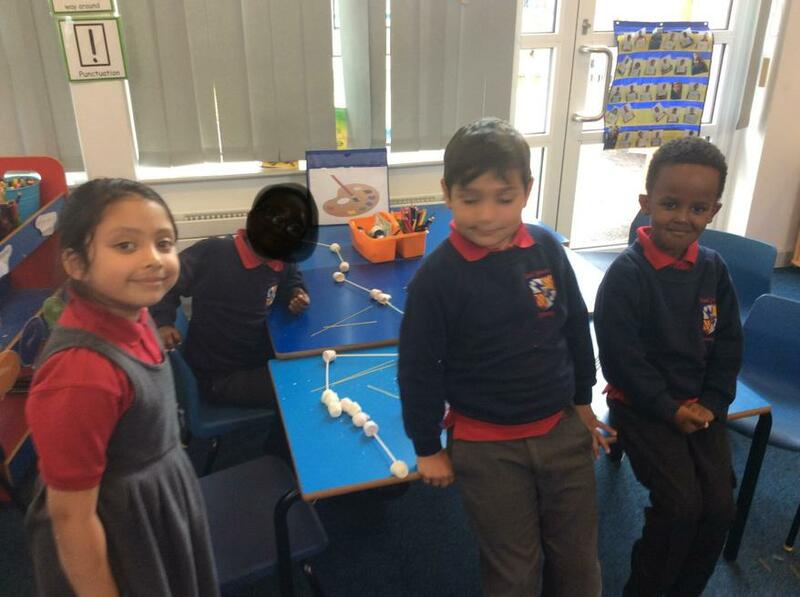 I set the children a task to see how well they could work in a team. 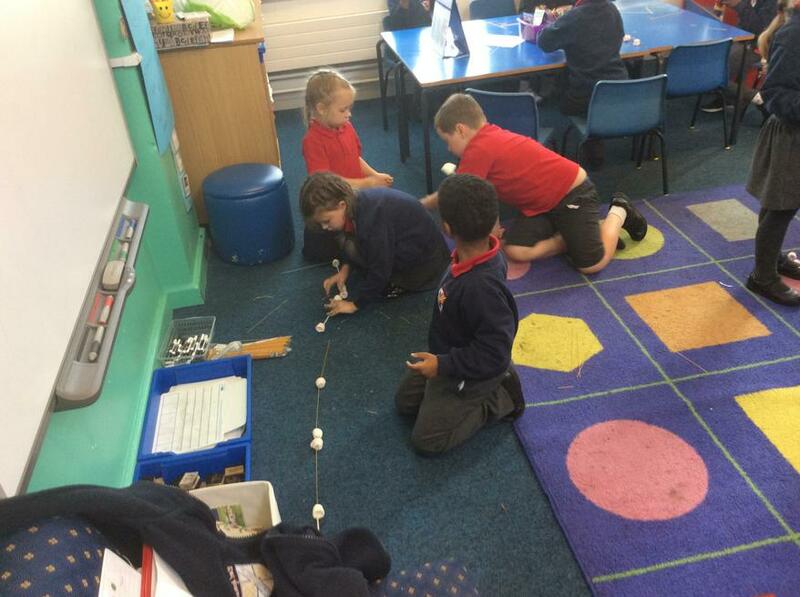 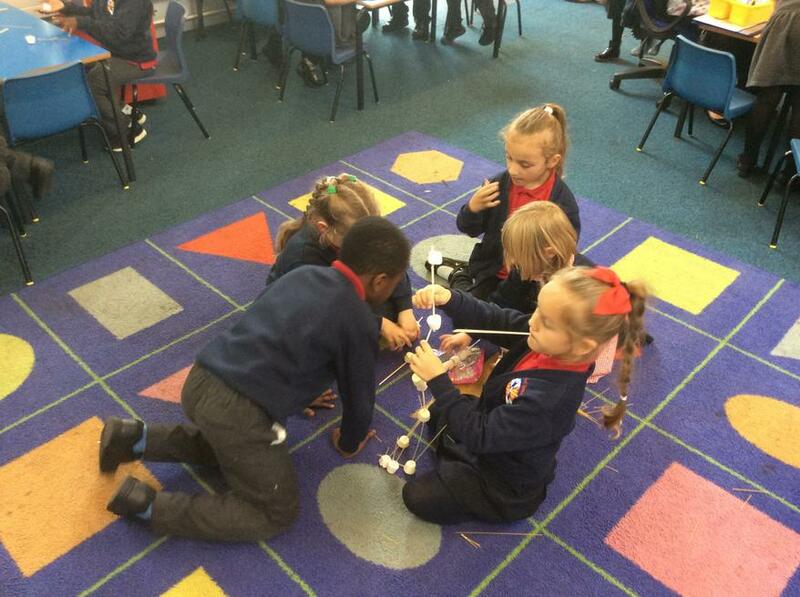 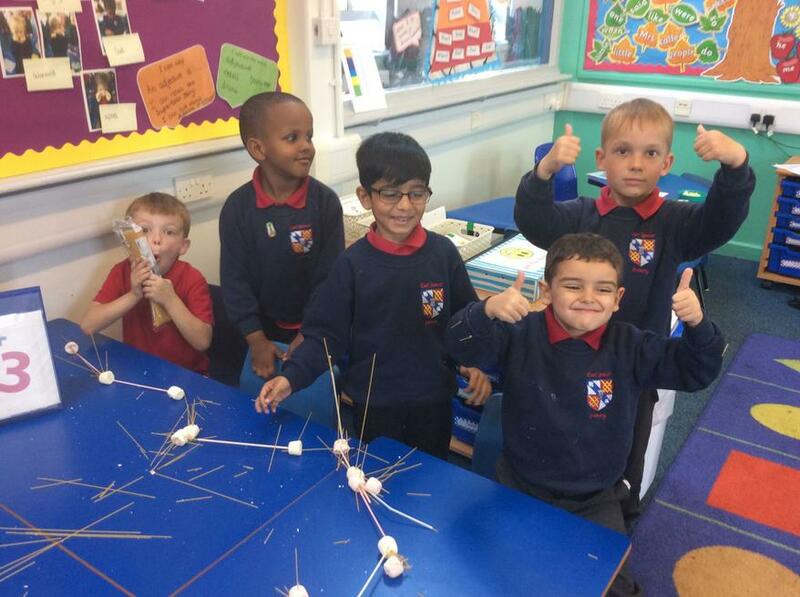 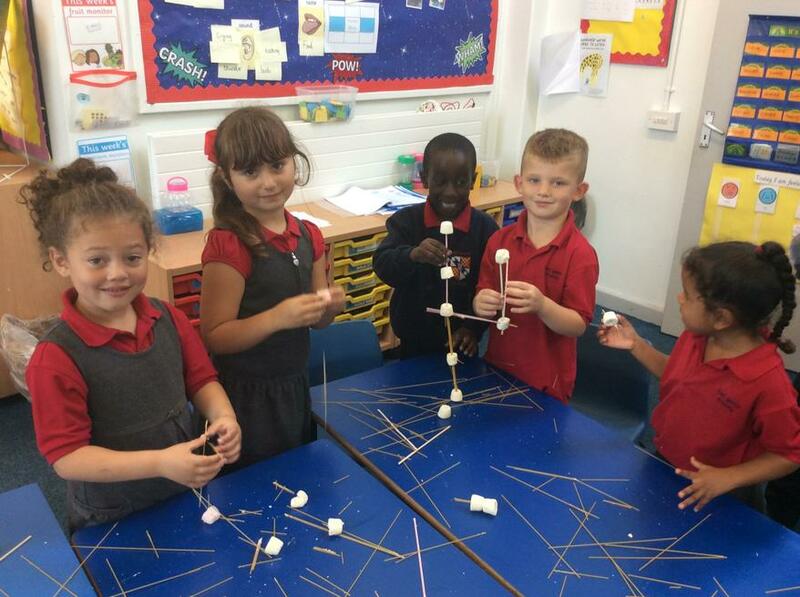 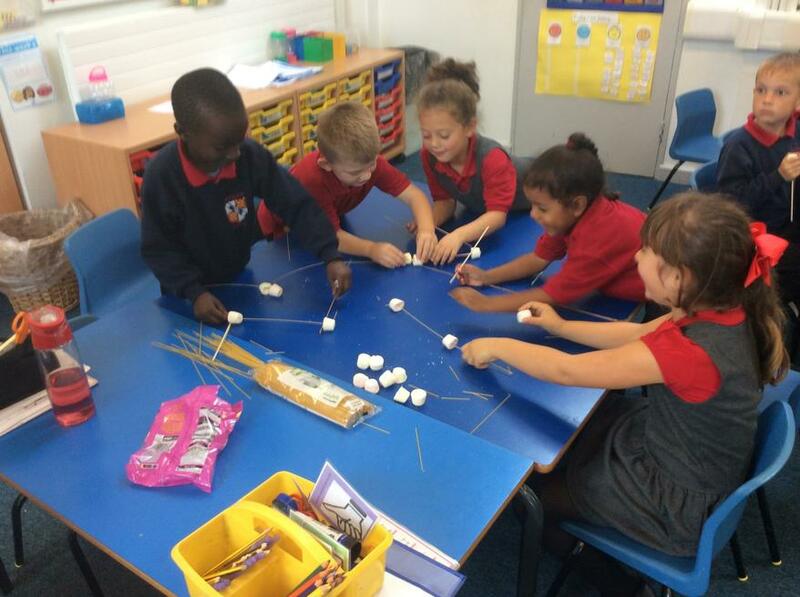 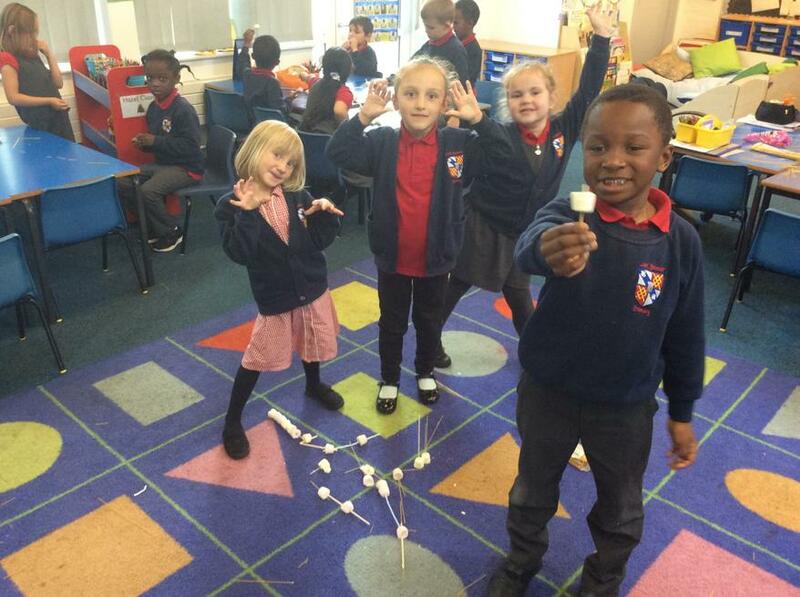 They were given marshmallows, straws and spaghetti and they needed to make a tower. 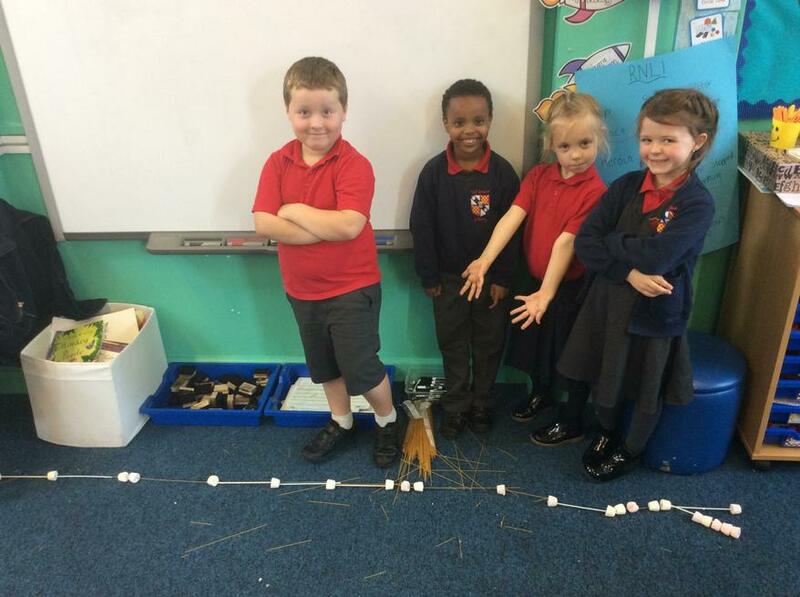 At the end we wanted to see which group had made the biggest. 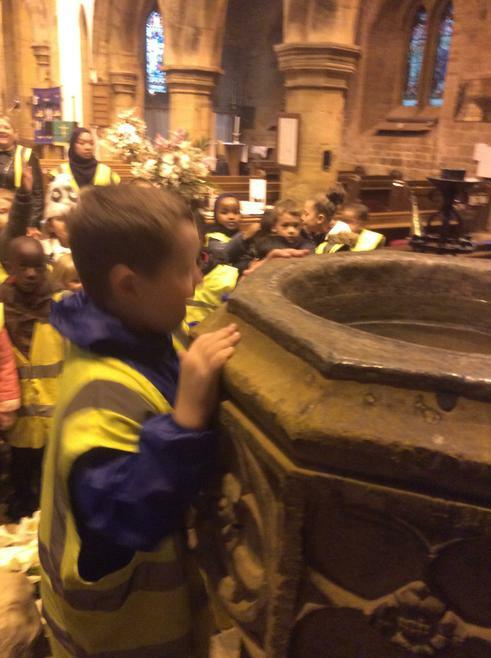 As part of our RE lessons we have been talking about Christianity and looking at churches. 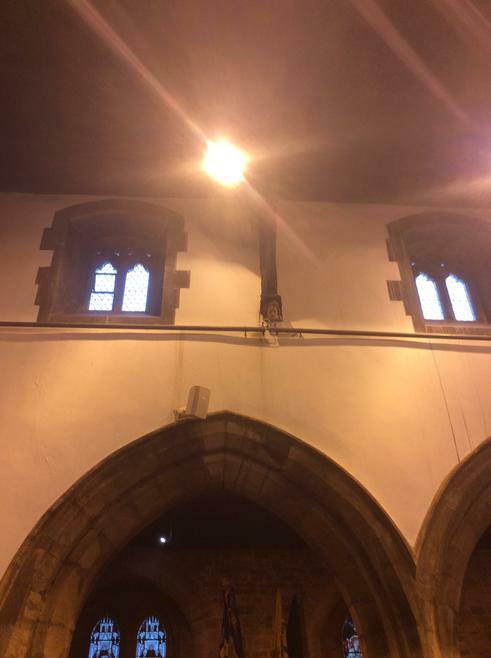 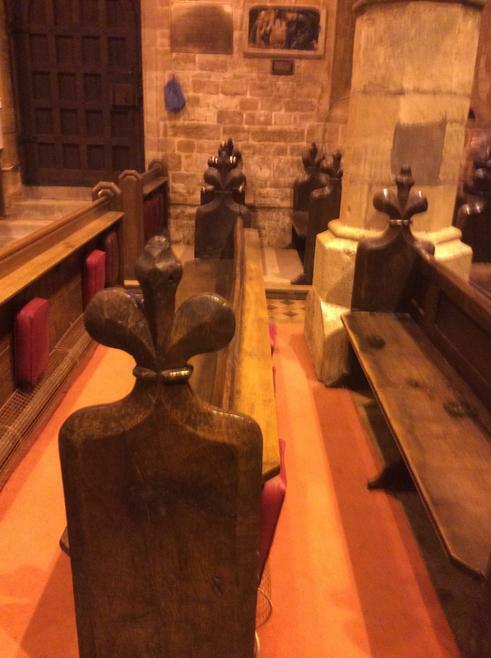 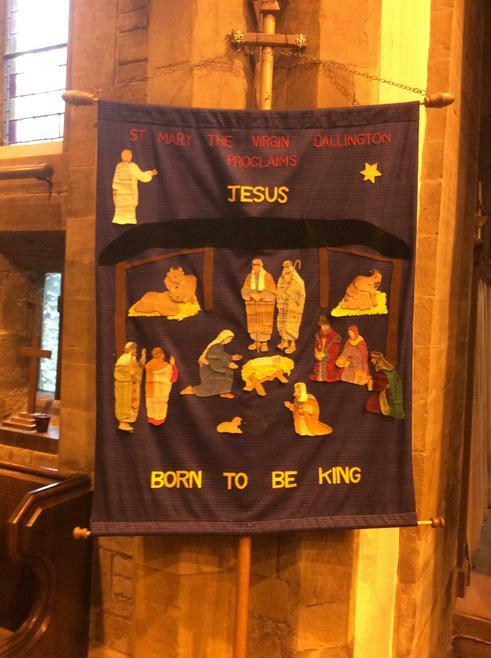 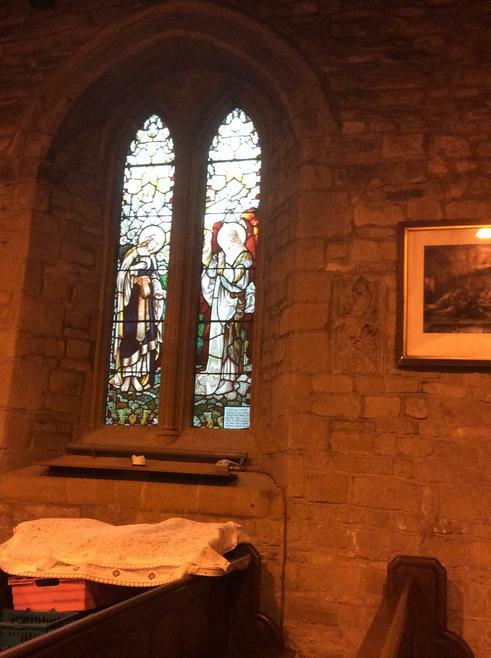 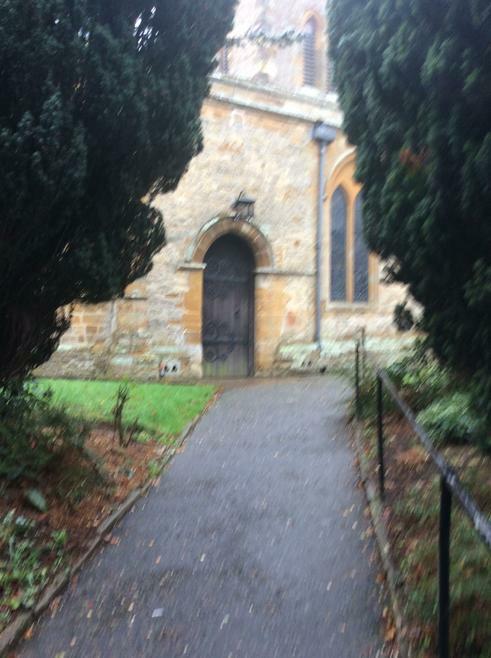 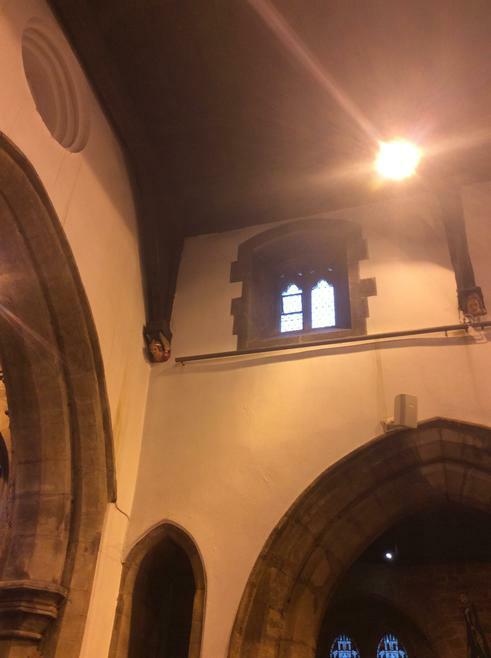 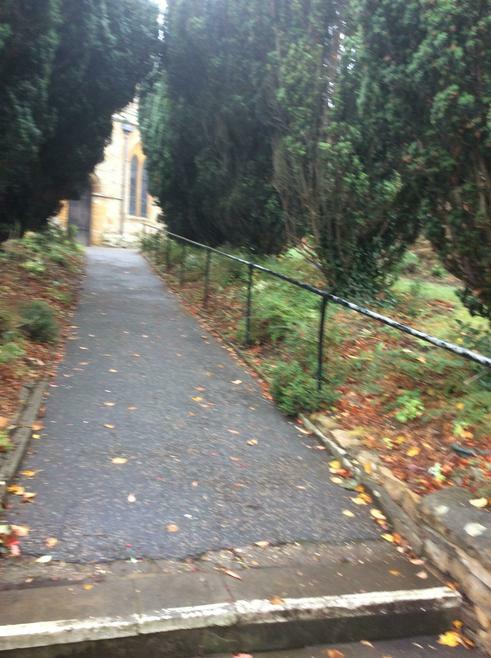 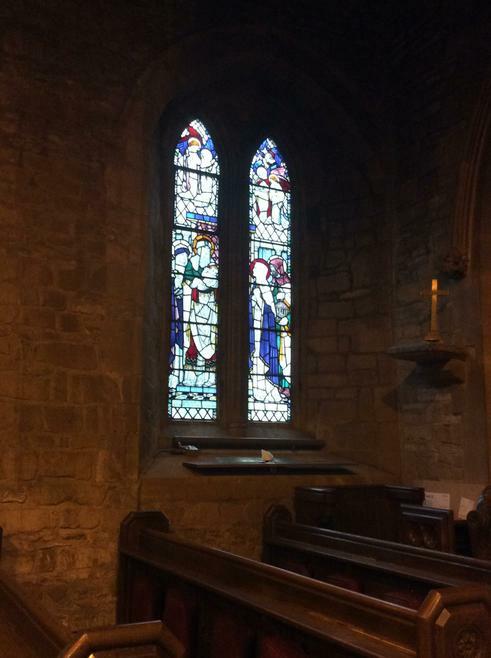 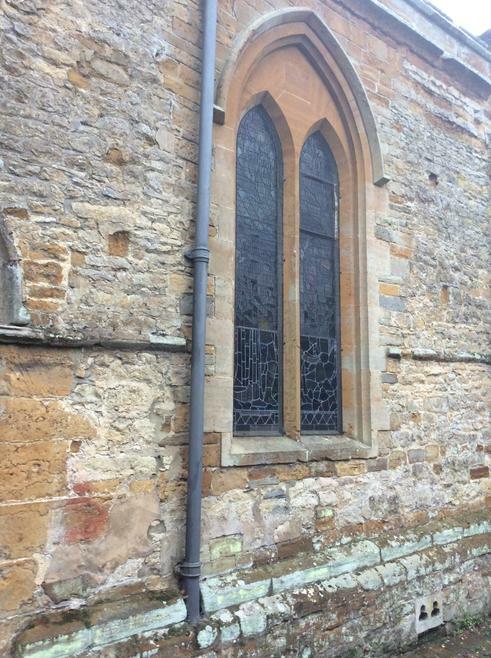 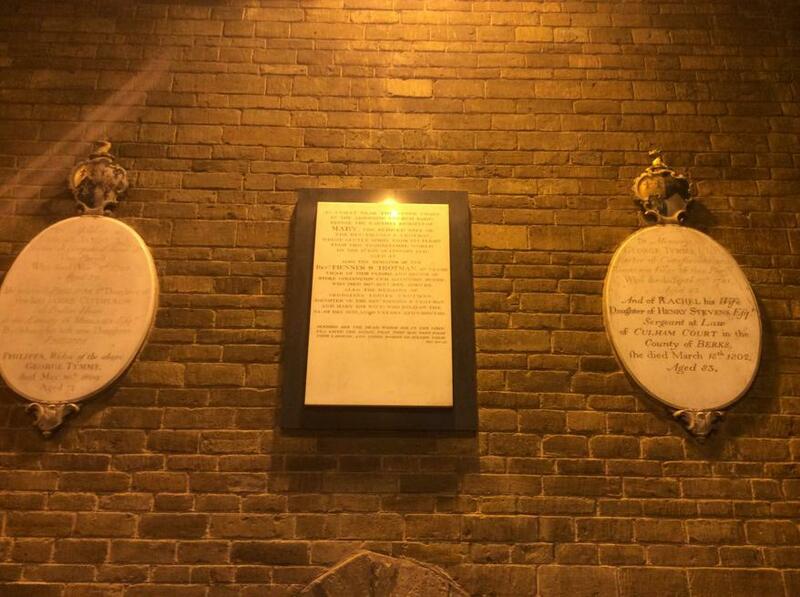 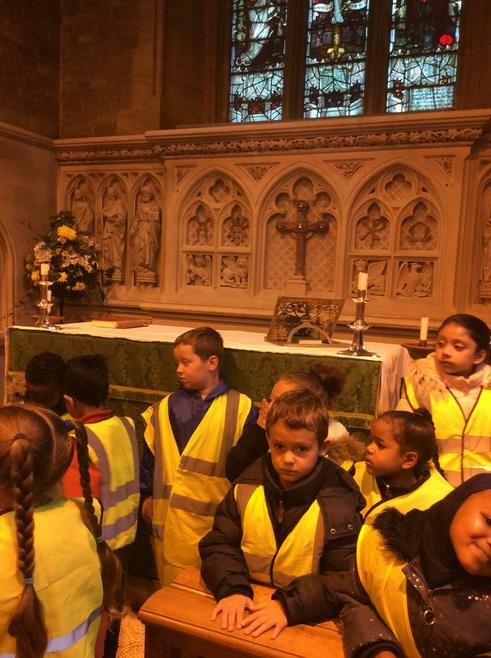 This week we went on a walk to Dallington church and got to look inside the church to see all the special features. 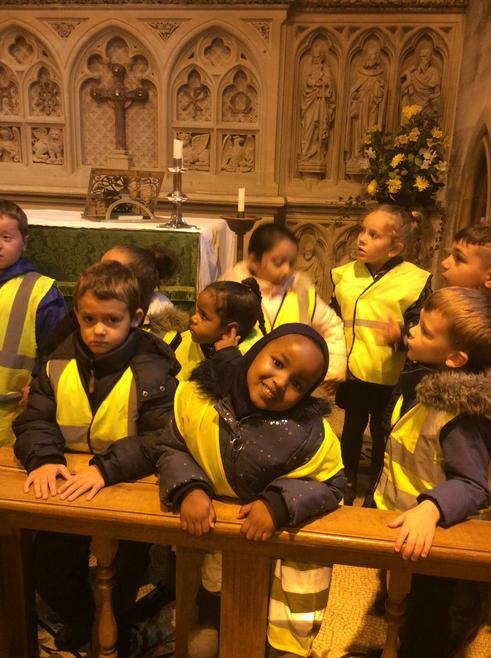 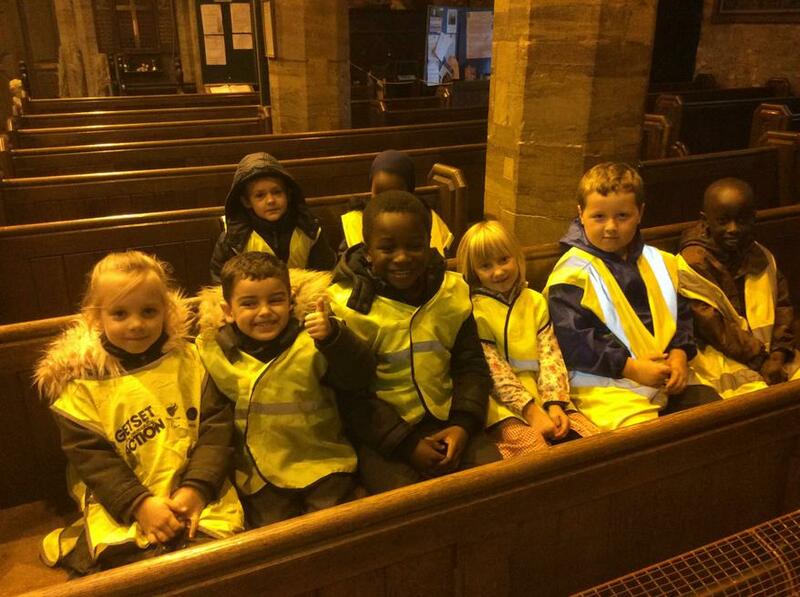 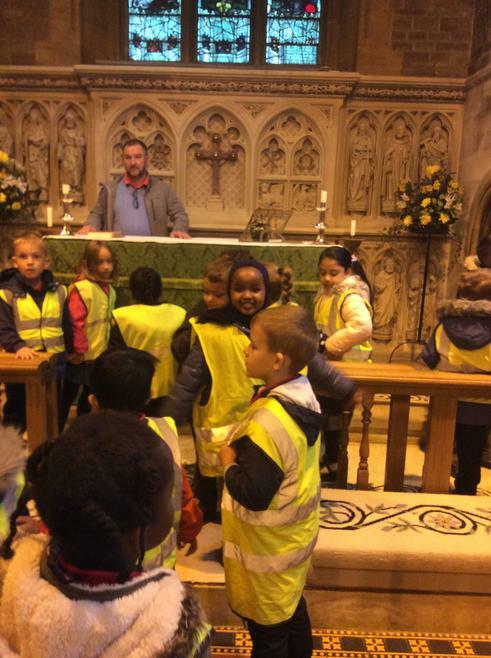 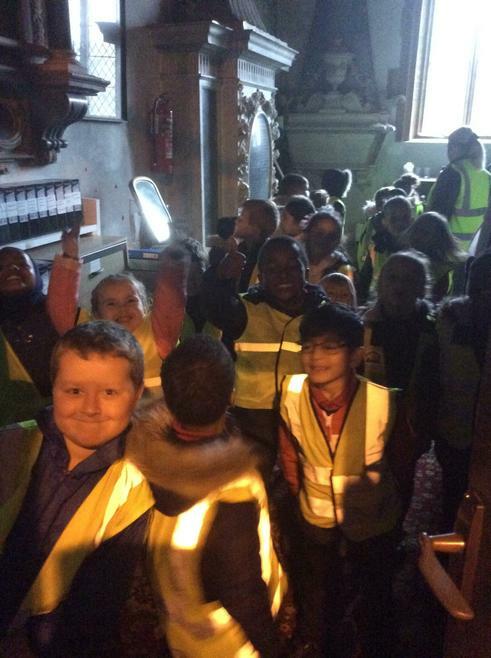 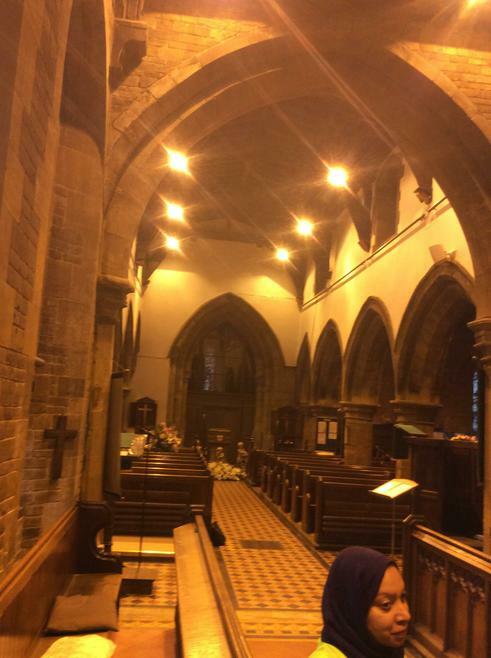 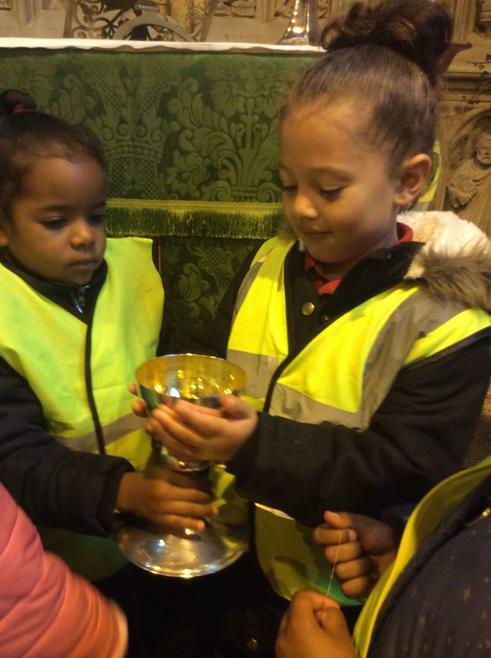 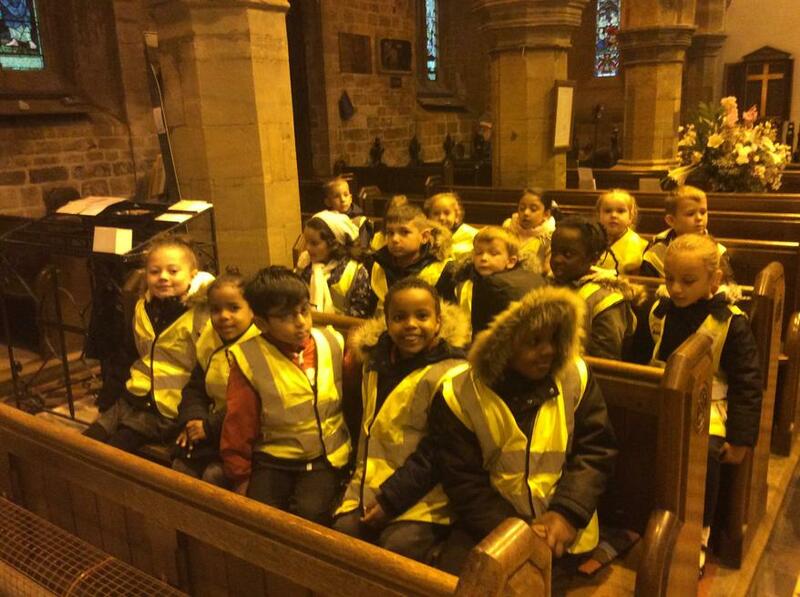 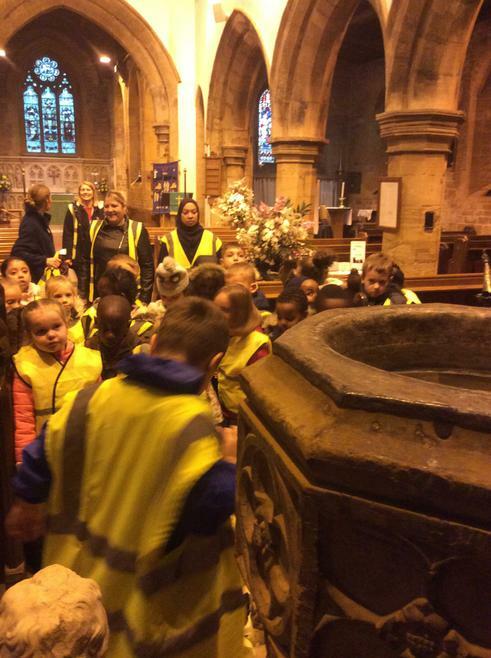 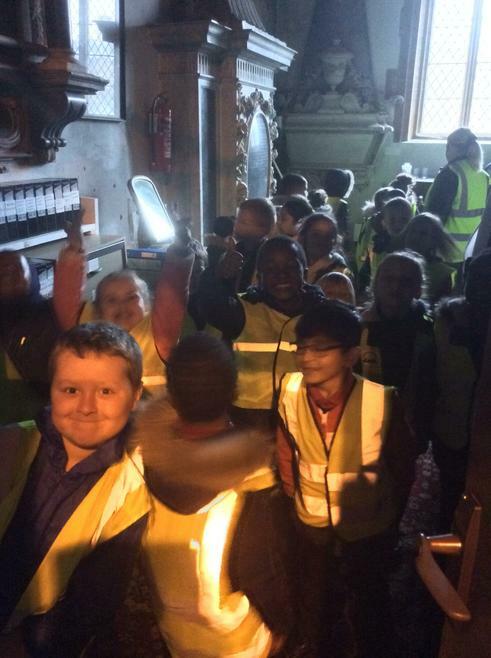 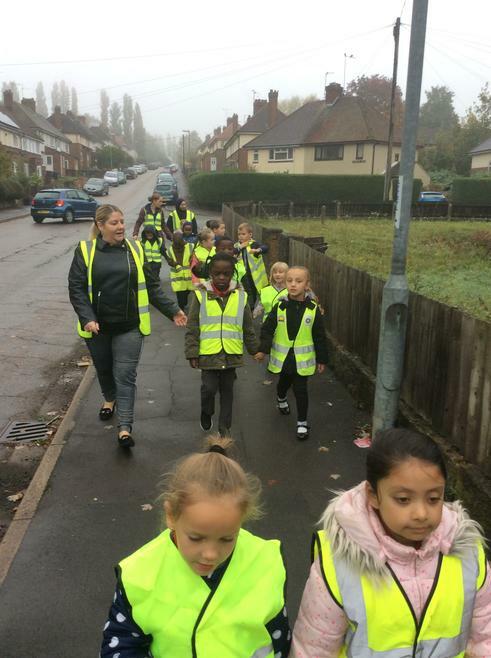 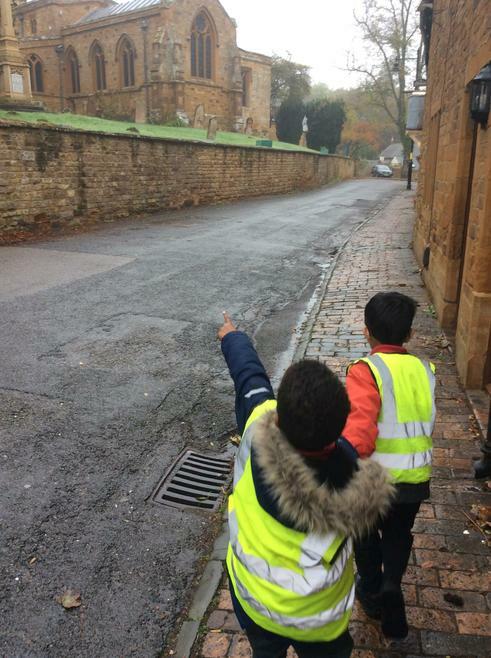 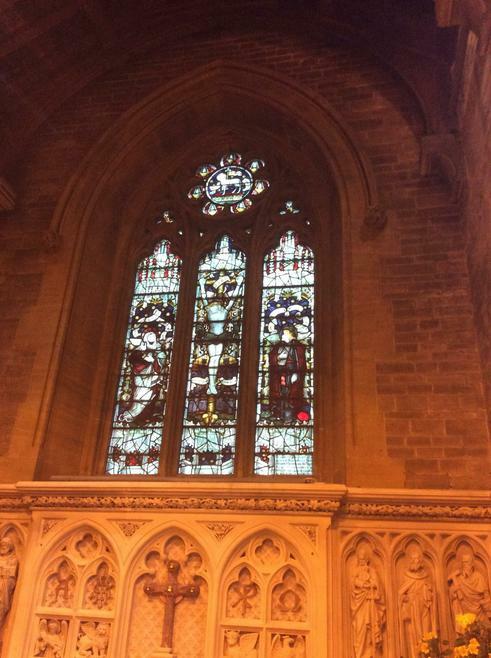 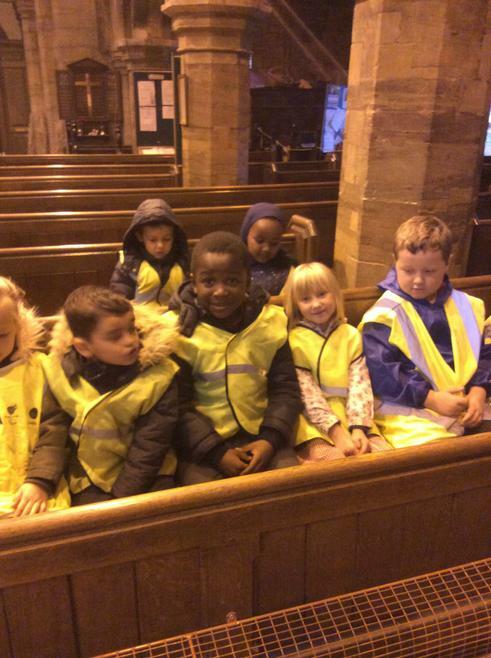 The children thoroughly enjoyed themselves and have learnt some interesting things about churches.